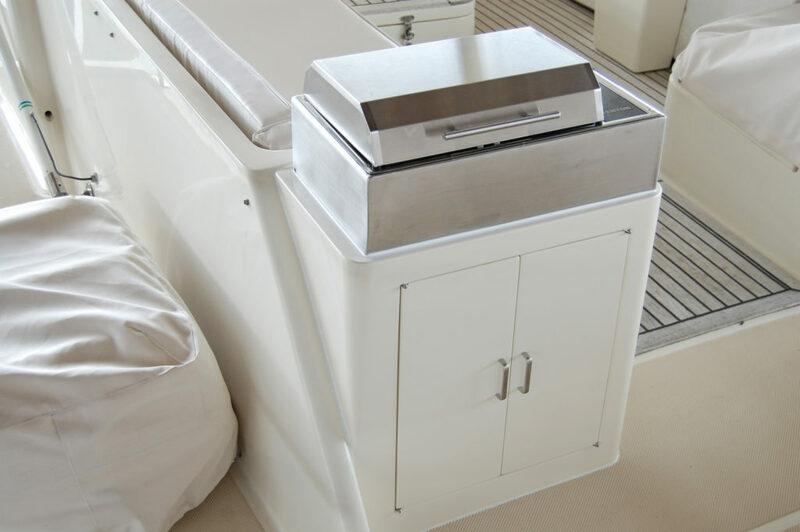 We are now offering custom flybridge mounted fiberglass grill platforms to accommodate built-in electric grills on all Fleming 55 models. 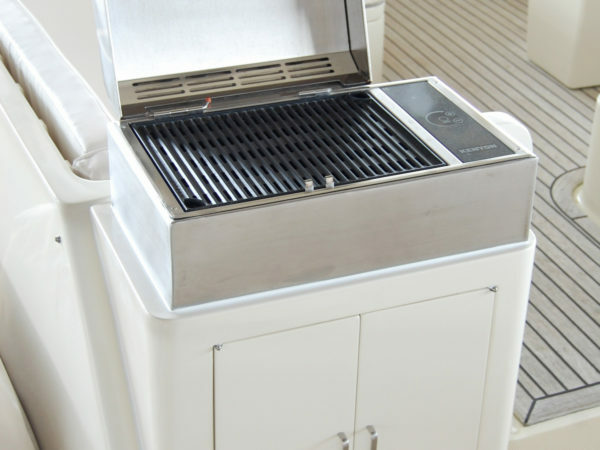 These platforms are constructed of solid fiberglass and feature a cabinet below for storage along with ample surface area on top to fit a mounted 220v electric grill. 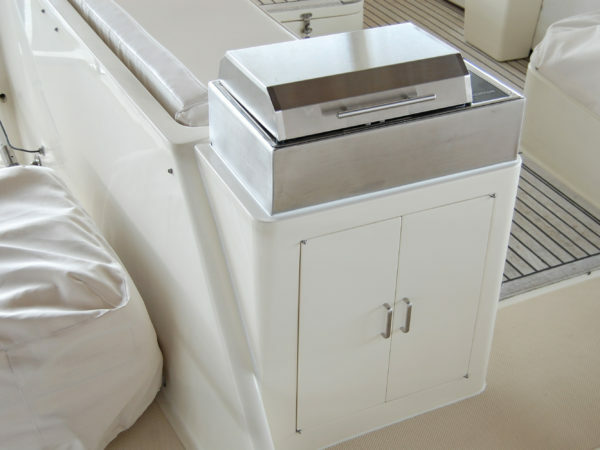 These custom mounted grills fit snugly at the aft end of the port flybridge settee and add a new level of convenience and utility while remaining condensed and unimpeding to foot traffic. 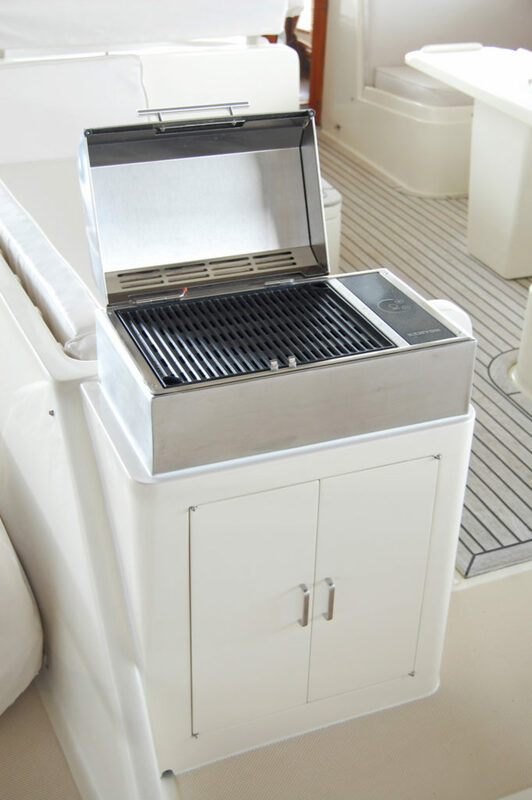 With the electric grill being 220v this makes it ideal for use while docked at a marina. 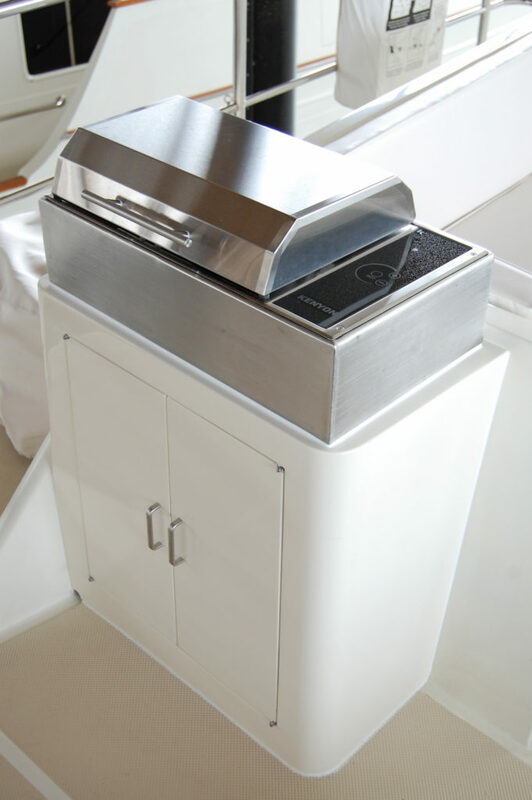 Additionally this particular Kenyon electric grill we offer can reach temperatures in excess of 500 degrees Fahrenheit and has superb heat retention due to its double insulated lid. 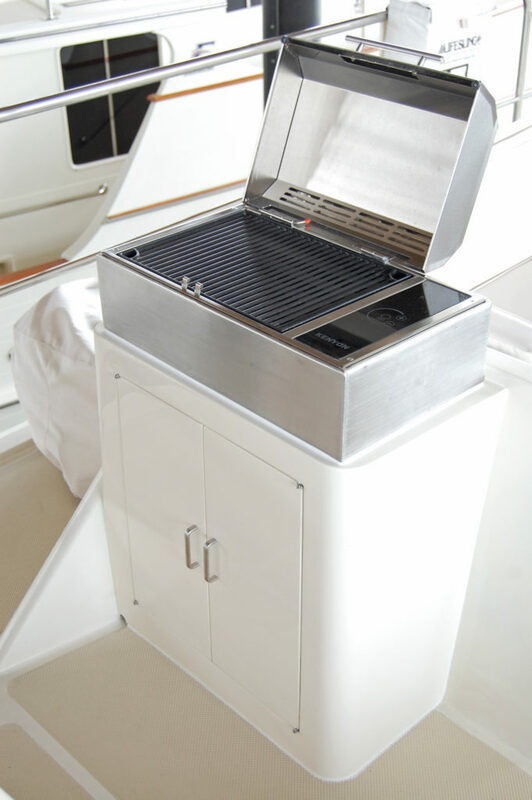 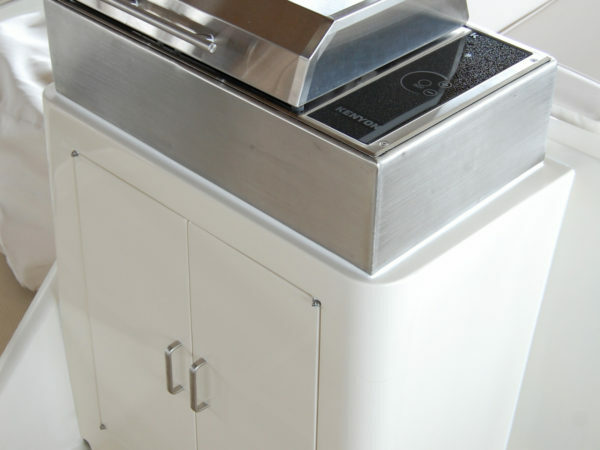 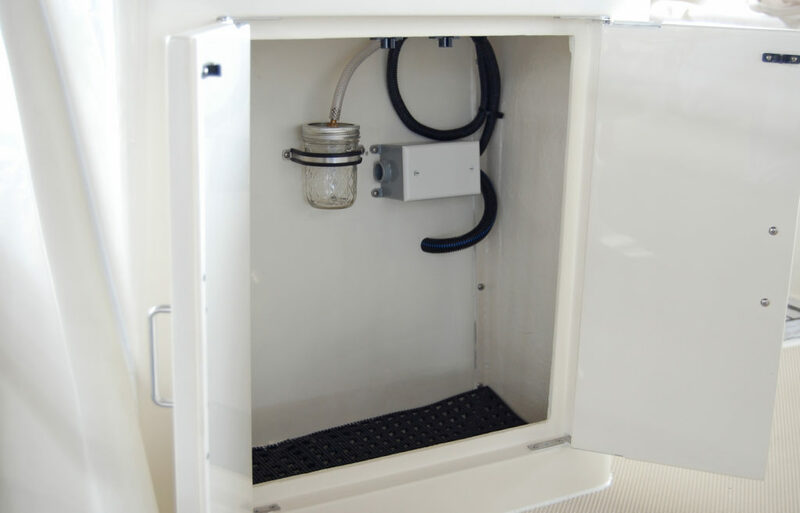 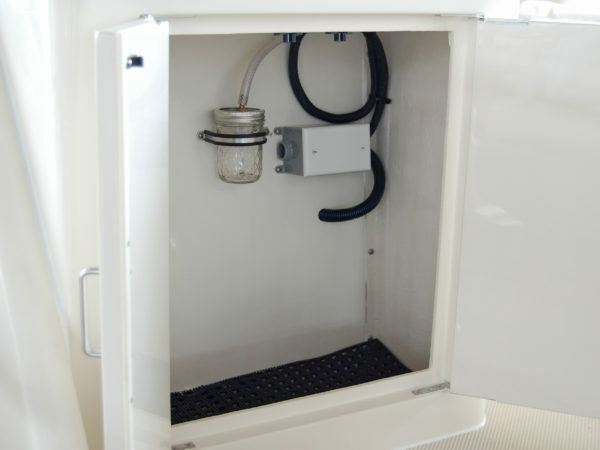 The fiberglass cabinets are molded and installed along with the grill right here at Burr Yacht Sales. 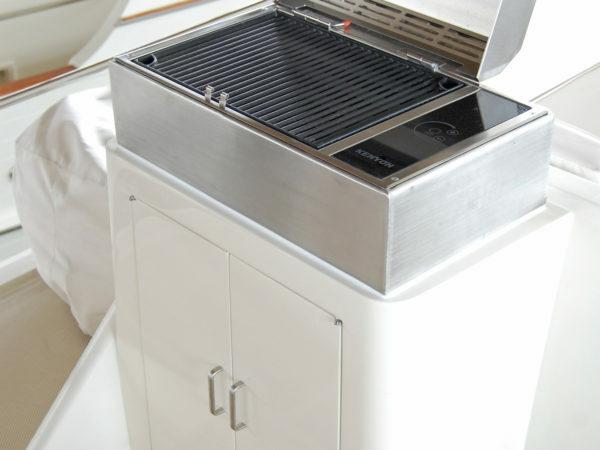 For questions, pricing, or interest please call (410-798-5900) or email us.